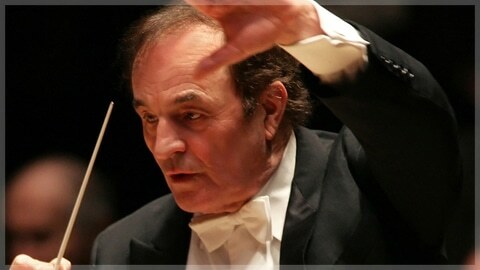 An investigation conducted by the Boston Symphony Orchestra into a sexual molestation claim by Fiona Allan against the conductor Charles Dutoit is credible. The claim was first reported by Slipped Disc. 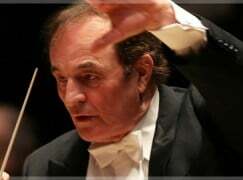 Dutoit has denied all sexual harrassment claims made against him. The Boston Symphony Orchestra (BSO) today announced the conclusion of an independent investigation into a December 2017 online comment made by a former intern, Fiona Allan, alleging sexual misconduct by guest conductor Charles Dutoit in the summer of 1997. The investigator found that Ms. Allen’s allegations about Mr. Dutoit’s conduct were credible and supported by her interview with the investigator, her public statements about the incident, and information providedby BSO employees that corroborated various aspects of her work as an intern in 1997 at Tanglewood, the Boston Symphony Orchestra’s summer home in the Berkshires. Over the course of the investigation, the investigator spoke with current and former BSO employees, the investigator reported that three women with whom she spoke credibly described incidents in the 1980s and 1990s in which they too were victims of sexual misconduct by Mr. Dutoit. The BSO is not releasing additional information about the incidents in order to protect the identities of the women. The investigator found that neither Ms. Allan nor the other women complained to the BSO, and there were no indications that BSO management was aware of Mr. Dutoit’s alleged sexual misconduct prior to Ms. Allan’s public statements in late December and early January. After learning of Ms. Allan’s allegations, the BSO immediately announced it was commencing an independent investigation. At the time, the BSO had already severed its relationship with Dutoit, following a report by the Associated Press on December 21, 2017 that detailed the accounts of four women who alleged he had sexually assaulted them at other orchestras between 1985 and 2010. Based on the additional findings of the investigation, the BSO also has decided to revoke the honorary title of 2016 Koussevitzky Artist, which Dutoit received during the 2016 Tanglewood season. The Boston Symphony Orchestra continues to be committed to fostering a positive and harassment-free work environment. The orchestra is in the process of enhancing its employee training and is reviewing its policies and procedures to reinforce its expectations for conduct in the work place. For example, the orchestra plans to clarify and recirculate its policies against harassment, discrimination, and retaliation, including guidelines for reporting complaints, to all employees; create a secure hotline to easily and directly register complaints or concerns; institute a new, mandatory workplace conduct webinar for all new employees; and roll-out a multi-tiered training program designed for the BSO’s staff, management, musicians, volunteers, and board of trustees and overseers. The Boston Symphony Orchestra also is making changes to its third-party engagement process to include information about the BSO’s commitment to a harassment-free workplace and to clarify the orchestra’s expectations for guest artists who work with the organization’s various performing entities, including the Boston Symphony Orchestra, Boston Pops Orchestra, and Tanglewood, among others. In addition, the BSO is committed to collaborating regularly with leaders in the field of workplace policies, as well as with colleagues at some of Boston’s leading arts and education organizations, to discuss and share best practices to ensure a safe environment in which all their employees can thrive. Message to conductors around the world: We’ve got your number. This is not ‘Slippedisc’s charge’, it’s Fiona Allan’s. One huge factor in sexual assault, Norman, is the violation of the victim’s autonomy. And you just did it again. No, it **wasn’t** a Slipped Disc charge. You were just communicating it. Yet another misleading header on this site ! It appeared first on Slipped Disc, Rodney. It is credited by the BSO to Slipped Disc. Now go pick nits elsewhere. Which means only that the BSO either did not see or ignored the Boston Globe article two days earlier. Norman – like it or not, in this era of “fake news”, accuracy in reporting, or picking nits, as you call it, is here to stay. After all, shouldn’t someone always be watching the watchers? Not if it perpetuates other falsities. Yeah, but the headline is very misleading and back-slapping. So many SD headers are one or the other or both. Such self-congratulation is always inappropriate and, in such items as this, distasteful. And NL has been known to get things wrong on a grand scale and at no small expense. I, for one, should appreciate a little modesty around here. This is, by the by, apart from the fact that the Boston Globe revealed Fiona Allan’s allegations on January 2, two days before the matter was posted on SD. Just what “…first reported by Slipped Disc” means here, as in previous stories, is not altogether clear. book. What happened to the other women who came forward? Who at BSO kept hiring Dutoit? Incredible. It’s still slander and gossip until proven in court. And if he is cleared, are they prepared to apologize and restore his honors and his career? Blacklisting should be illegal, if it is not. I have experienced it personally, numerous times, over nothing, and it is devastating, and too easily employed. Concur completely. Why did the BSO conduct an investigation at all? It’s not like Dutoit is an employee and stripping him of an honorarium doesn’t seem like so much of a punishment to justify the expense. Sounds to me like piling on. Not a judgment on the allegations; but still….